Siddharth University is a state university which is situated at the Kapilvastu, Siddharth Nagar, Uttar Pradesh. Admission will be provided in different undergraduate and postgraduate courses i.e. B.Com, B.Sc (Ag), M.Com, MA (Economics) and MA (Hindi). Authority of University will invite applications from the eligible candidates in order to provide admissions in above-mentioned courses. The university will conduct entrance exam in order to provide admission. In this article, we will provide all the necessary details regarding Siddharth University Admission 2019 such as Application form & fees, Eligibility Criteria, Exam dates, and How to apply. The candidates applying for Siddharth University Admission 2019 can submit an application form in both online or offline mode. Submit the duly filled application before the last date. The Siddharth University Admission 2019 application form will be available in both online and offline mode. In the online application, candidates will need to visit the official website and fill all the educational, personal and contact details in the online application form. After filling the online application form, the candidate needs to upload the scanned copies of recent passport size photograph and signature. The candidates who want to apply offline can download the application form from the official website i.e. 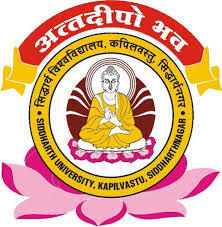 https://www.sidunikapilvastu.edu.in. The candidates need to fill the offline applicant form in neat handwriting and submit it to the university along with the enclosures before the last date. Siddharth University Admission 2019 application fees can be paid online or offline mode. Pay the Siddharth University 2019 application fees as per candidate’s category. For online application, the application fee will be paid through the online payment gateways using a credit card, debit card or net banking. For offline application, the application fee will be paid via bank challan. The copy of bank challan can be downloaded from the official website. Authority of University will provide the Siddharth University 2019 application form on the online official. Applier candidates need to fulfill all criteria provided by the authority to apply for exam & admission. The candidates must have passed Intermediate or equivalent exam from a recognized board in or after the year 2016. The applicant must have passed Intermediate or equivalent exam with agriculture or science (Bio/Maths) stream in or after the year 2016. The candidate who has a B.Com or BA (Economics) degree with at least 40% marks (No minimum marks criteria for SC/ST candidates) will be eligible for the Siddharth University Admission 2019. Must have passed the qualifying exam in or after the year 2016. The applicants must have passed the final BA degree exam with 40% marks (not applicable for SC/ST) in or after the year 2016. Should have studied Hindi as a subject in the 3rd year of the degree course. The aspirant must have cleared final year exam of B.A or B.Com degree with at least 40% marks (not applicable for SC/ST candidates). Must have passed the qualifying exam in or after the year 2016 and should have studied economics as a subject in the 3rd year of the degree course. The candidates who have passed their intermediate or equivalent examination in the year 2016, 2017 and 2018, their obtained marks will be deducted by 10, 7 and 5% of the maximum marks, respectively. The applicants who will appear in the qualifying exam in the year 2019 can also apply. Siddharth University Admission 2019 important dates are given in the table. Note the exam dates mentioned here are tentative based on last year’s admission. Candidates can check the exact dates and schedule from this page after the release of official notification. Candidates who are interested to apply in Siddharth University 2019 entrance examination can access the application form in offline as well as in online mode. Check the below section to know more about the filling the Siddharth University 2019 application form. The candidates who are applying to the course should submit the application form along with the required documents with a Demand Draft that is drawn in favor of Registrar, SSHAE, payable at Tumkur. If you any query regarding Siddharth University 2019 Application Form, you can ask your query leave comments below.